Tyre review data from 23 tyre reviews averaging 84% over 166,657 miles driven. Positive - A great all round performance, particularly strong in the wet but also excellent handling in the snow. Low rolling resistance. Positive - Excellent all rounder with excellent winter performance. High steering precision and dynamic handling on snow and in the wet, good comfort, low rolling resistance. 2016-10-30 - is this an RFT (Run Flat Tire) ? There are currently no runflat sizes of the TS860, however there are 5 planned runflat sizes due for introduction in winter 2017. 2017-10-10 - How noisy are the tyres? The Continental WinterContact TS 860 was recently tested by Auto Bild and found to have mid-pack noise characteristics, but still quieter than the summer tyre on test. 2018-09-15 - Hello, I have watched your videos regarding Winter tyres recommendation and also the latest one talking about All Season tyres. I own a Mercedes E 350 CDI fitting 245/45/17 in winter. I was looking forward to try the Conti TS860 or TS860S but they don’t make them on this size. My other alternatives are the Dunlop WinterSport 5 or the Goodyear Ultragrip Performance Gen 1. As I only use them from October to March, am I chosing a good tyre ? I wanted to try the Contis but they are not available. Where I live it rains a lot during the winter and we eventually have snow. Thanks in advance! Both the Goodyear and Dunlop are good alternatives, as is new Michelin winter tyre. Expect a full winter tyre video in the near future! 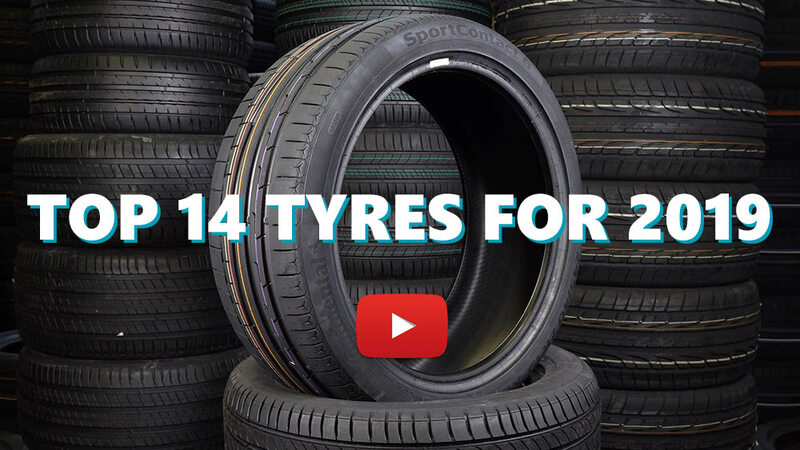 Available in 46 tyre sizes - View all. went on this tire after Michelin PA3 and I was amazed at how this tire is better in all aspects then my previous Michelin PA3 tires! Have you driven on the Continental WinterContact TS 860 tyre? Please help millions of other drivers make an informed tyre choice and pick the correct tyres for their car by submitting your review of the WinterContact TS 860. The TS860 is a really good tire, I have them on my car, which doesn't have traction control or anything to moderate slip, I also had worn discs and pads and not once did I feel insecure this winter. Dry conditions: They grip well, but they're not for hotter days as they feel too soft on a hot road but they're a winter tire after all. Wet conditions: I felt confident in these which were a big step up from my previous tires but they did make a lot of noise, a bit too much for my taste, which was unsettling as the noise it made sounded like I was losing grip but I wasn't. Snow & ice : They were wonderful, grip was good but the highlight is the braking, I had a few emergency stops and they did not slide at all. Comfort: I live in Belgium in a rural area and the roads are in catastrophic state and on those roads they're not the most comfortable tire and they make a bit of noise which I don't mind as it's a way to communicate to the driver. However on a smooth or slightly cracked road they do well. I would definately buy them again and recommend them to a friend. They fit a normal driving style on a regular car, they're okay with taking corners quickly and don't produce early understeer. probably the best snow tires I had. They replaced a Michelin Alpin5. This tires are better than Michelin on snow and ice. Very comfy and low noise on road, even on motorway. I have a Fiat Linea T-Jet car, a 120-horsepower 206 Newton meter torque. On average, I drive 10 km a day, 20 km highway 20km highway. Over 80 Km / h the Conti is very, very loud. On the ice and on the ice soon lose the grip! Aquaplaning should only be expected at higher speeds. It behaves fairly well in rain and dry roads. Flat road and city for cars with lower power and torque, or ESP and torque-controlled cars. The 2003 Semperit SportGrip and the 2008 Dunlop Winter Sport D 3 are better on snowy and bumpy roads and quieter! Wear-resistant, after 10,000 km of running, 7mm of the first driven, 7.7mm rear tire. I thought better, I expected the right from the world famous Continental brand! Could the Conti 860 S have to be bought? If you have someone's experience, please write it. I purchased a set of these as new in 2017 (production year 2017 also). Summer tyre is Bridgestone ER300. Comparing to this summer tyre - very quiet tyre, I was astonished - and still am. This is the least noisy winter tyre ever, furthermore it is more quiet then many summer tyres I owned in the past. Big plus. This is their second season. Another big plus - they are visibly more fuel efficient than the said Bridgestones. Wow. Second of all - I bought these because I was always changing tyres late on, and getting back to summer tyres at first signs of spring. Why? Because of inadequate wet/dry handling of winter tyres. Now these tyres are perfect on wet and dry roads, grip is perfect in all of such conditions, just as the reviews I've read said. Nice. Unfortunately snow and ice grip is not that good comparing to other winter tyres I have owned. Not that they are not predictable - they simply lack the grip that I had with some other brands. I can definetely feel the car, and a hard stop or corner is predictable. TC off in high snow-mud is a must. Still the tyre is solid in such conditions. Wear seems to be on the faster side - a tradeoff for wet/dry conditions. Currently on second season front is around 5,0-5,5mm, rear 6,0-6,5mm. I think that at the end of the winter I'll hit them at 4 and 5,5mm respectively. For the third season I'll change frontrear and finish them off during the spring/summer. The tyres I think are good for 30000-40000km in winter and then maybe 10000km as summer finish. First season they have been definetely better then in the second season. Small skidding has been now observed on wet roads. Still something that is not unexpected, but I guess that with age the tyres will have to behave worse. Seems that the compound hardened - my impression. All in all a great winter tyre especially if most of Your winter is on wet/dry roads.